Well, it's that time of year again. A couple of weeks until Christmas, and you're still frantically looking for that one, last thing to max out your credit card and dazzle your significant someone or other. I have some suggestions. For all your Christmas fixins, you should visit our friends at 32 Degrees North. They have old skool decorations, ornaments, cards, and gifts, the kind we adore here at the Cottage. They always send my children Advent Calendars, which brings a big smile to their faces and a wistful tear to my eye. They've got Easter stuff, too, which is like Christmas with less shoveling, so I like it even better. Go there now, there's no time to waste: 32 Degrees North. Our friend Nora Gardner has forsaken Wall Street and started her own business, the eponymous Nora Gardner. She's as bright as the star atop the Christmas Tree, and she's even better looking than the pretty models she's got showing off her demure but dazzling dresses, which doesn't seem fair, really. Her stuff is made right here in New York City, too. Buy American! Get Gardner! 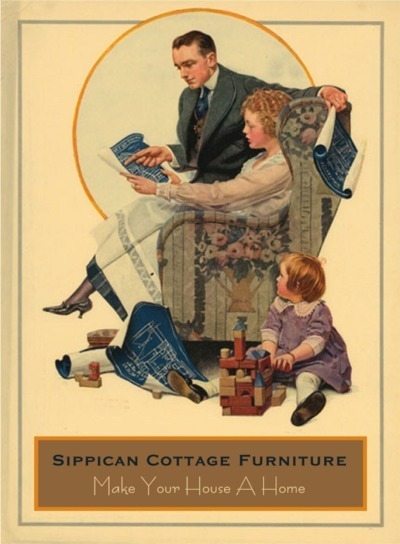 Speaking of nice legs, Sippican Cottage Furniture has some Ready to Ship items that are, well, ready to ship. We've got a brand new payment provider, Checkout by Amazon, as well, to make purchases easier on your end. If you've got an Amazon account, you can use our buy now buttons and all your payment and shipping info is already on file with Amazon. Easy! We've got three striking solid tiger maple Kipling Tables ready to put in a box and make their way to your house, and one extraordinary solid quartersawn white oak Shamrock Table, all with a fat, jolly 33 percent Yuletime discount, and free shipping to boot. Think of the extra eggnog and mistletoe you'll be able to buy with all the money you save. The three Kipling Tables are dyed Cinnamon, the Shamrock table is a new color of ours, called Montecito Ebony, which is a rich, dark coffee color, that is if you get your coffee from a Turk and have a Sicilian espress it for you. The Kipling Tables are all very strikingly grained, and super handsome, but man oh man is the grain on the Shamrock Table wild. They're all the same dimensions; 15" square, 28" high. To take advantage of our Free Shipping promotion, enter Coupon Code: FALALALA upon checkout, and purchase before Friday, December 14th. SOLD! Thanks, Greg P. ,and Merry Christmas! SOLD! Thanks, William S, and Merry Christmas! Got questions? Email me at sippicancottage at gmail.com and I'll answer all the polite ones. And Merry Christmas and Happy New Year to all! I think I should like to order one of those in the red packaging, yet the ordering procedure escapes m - can you help? Is thre a button to enable? Good grief, you're sold out already? Are they strong enough for a couple to kiple upon, or are they for solo kipling? 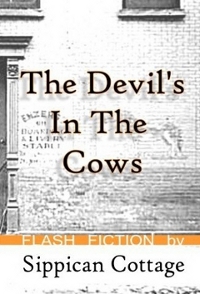 "Are they strong enough for a couple to kiple upon"
As Harry Morgan's character complained, "Learned council has used a word with which the Bench is not familar?" I bought a pair of those tables a couple of years ago, they're now in Sweden.